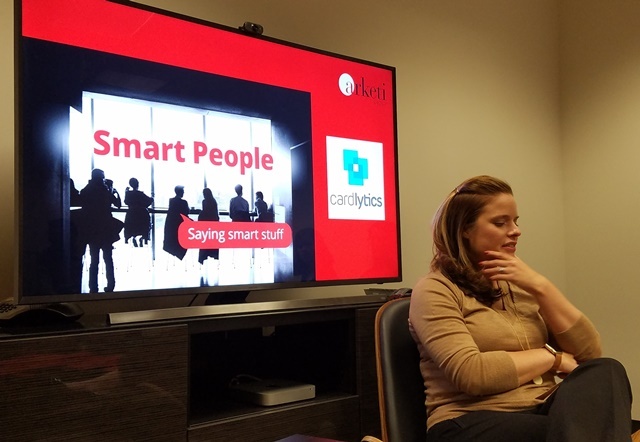 Arketi’s “Smart People Saying Smart Stuff” series is going strong, and our recent session with Dawn Brun kept up the momentum as we dove into data storytelling. Round five followed previous conversations on media relations, creating content people care about, ensuring you have a proficient online marketing platform, and social media marketing for software. Dawn, director of communications for Cardlytics, came to Arketi to share some sandwiches and some media relations advice. Before her current role, she spent the majority of her career with an international public relations firm, and has won several awards during her impressive career. Dawn is all about showing off the power of a product without directly talking about it. That’s why she works with Cardlytics’ data scientists to uncover interesting and media-worthy trends in consumers’ transactions. And this form of data storytelling that points to interesting trends is just what the media is looking for. 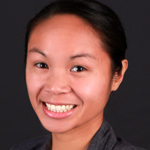 By providing insight into Black Friday shopping trends, for example, she attracts the attention of national business reporters without sharing hard news or coming across as salesy or too self-promotional. And editorial calendars aren’t just for magazines. Dawn and her team produce a quarterly editorial calendar to highlight a couple stories each month on timely topics. When it comes to pitching the media, Dawn doesn’t believe in generalized email blasts to multiple reporters. Instead, she decides which outlets and reporters are the best fit for the particular story she’s offering, and goes from there. To keep fresh story angles coming out, the company has set up a platform that allows employees to submit research ideas on topics they find interesting. Dawn and the rest of the communications department choose from these ideas, then go back to the data scientists to start gathering data. Thanks to Dawn for sharing her insights and chatting with the Arketi team. Next up for “Smart People Saying Smart Stuff” – we’ll sit down with Georgi Gullia of Cherry Bekaert to talk funding.